Not being a band that can rest on their laurels for long. 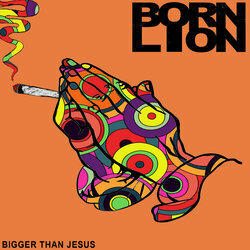 These gentlemen of rock got back into a creative space and have nailed it with the new single 'Bigger Than Jesus'. This track comes out swinging and also get all the right grooves on. It swings like King Kong’s nether regions! With engineering nods from Jason Blackwell (Midnight Oil, The Hard-Ons) and mixing plus mastering from Forrester Savall ( Shihad) the result is super high energy party anthem that is hard to resist. On top of this the band has curated their own series of mini-festivals. Coming to Sydney, Wollongong and Melbourne in February 2019, the line up boasts acts such as Rick Dangerous and the Silkie Bantams, Jonesez, Dropping Honey, Fait Accompli Whispering Jackie, Ess-Em and a 10 year reunion set from Sydney's Bitchslap.